From Pisa we took a train to Florence. You don't have to book your tickets in advance. Just get the tickets at the counter. It's only 5.70 euros. There are trains every 30 mins and its only an hours ride. On arrival, we checked in at Hotel Joli, which again is only 3 mins walk away. From there we walked to the Mercato Centrale, or Central Market 5 mins away. We had lunch here, trying out the local cuisine. The famous cow's tripe dish (I forgot what they call it) was so delicious we ordered another one. Outside the market there are a lot of roadside stalls. Here you can buy scarfs, leather bags and jackets, as well as ties. If you want to get leather stuff, you should get it here. 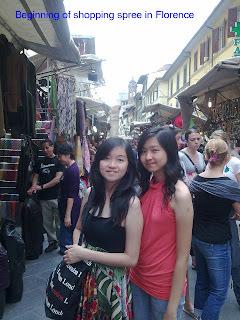 At first, we were hesitant to buy because we have 2 more destinations, Venice and Milan, to go. 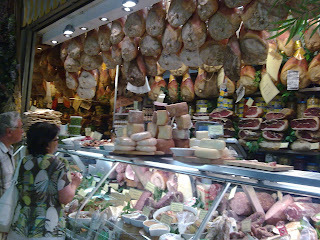 We bought some and later ended up regretting not buying more because the prices here are much cheaper than elsewhere. 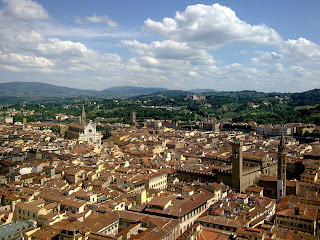 Apparently the leather factories are near Florence. 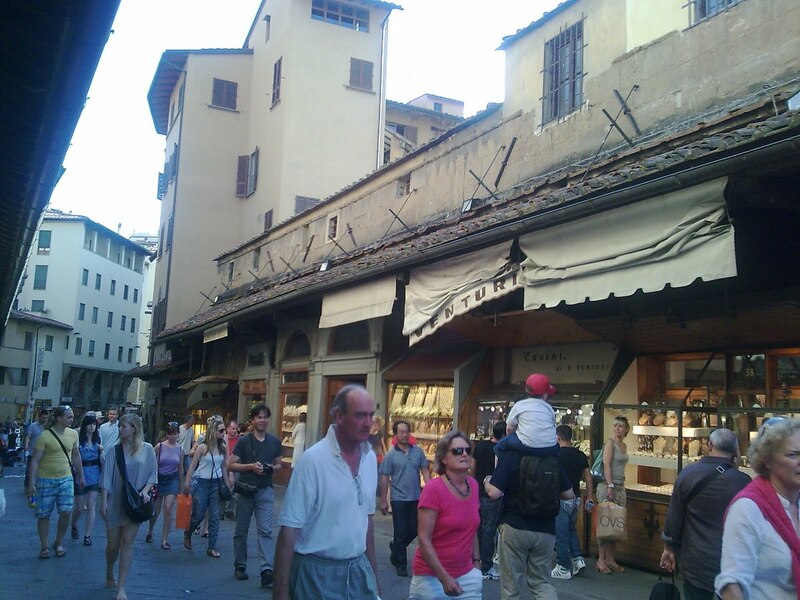 Moreover, Florence is a smaller town than Milan so things ought to be cheaper here. From the Central Market, the lanes lead to San Lorenzo area where there is a basillica. 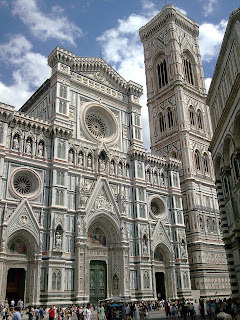 Just continue walking and you can find the famed Duomo, or Santa Maria del Fiore Cathedral. 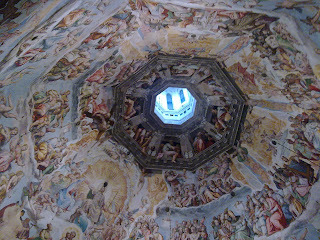 and you can see up close the painting on the ceiling. But a word of caution: the climb is really killing. We had to make a few stops to rest. Even able-bodied young tourists had to stop and rest. The museums here are very popular. 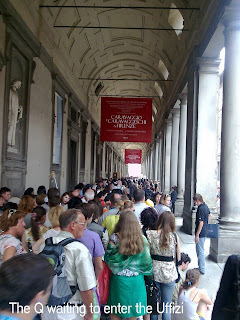 We queued up for an hour and paid 10 euros each, just to get in the Galleries Accademia to see Michelangelo's most famous sculpture "David". They don't allow photography inside, but with so many people inside, you can get away with one or two shots, silently of course! There were also many other famous works inside. It was worth the waiting. On the next day we wanted to get in the Galleria degli Uffizi but the queue was even worse and we had to give up to spend the time on other places. Hercules and Cacus , the Lion by Donatella, and the Fountain of Neptune. 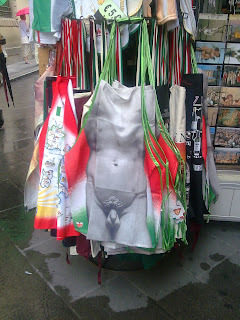 There is also a copy of "David" in the square. 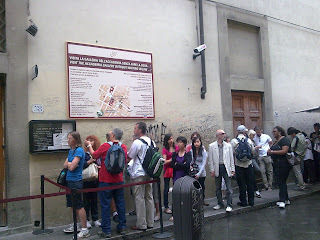 This is Dante's house, now a museum. There's another copy at Piazzale Michelangelo, a square up on a small hill where you can see a bird's eye view of Florence. You should take a bus to this square from the town centre rather than walk. After this, we took a bus back to the hotel. 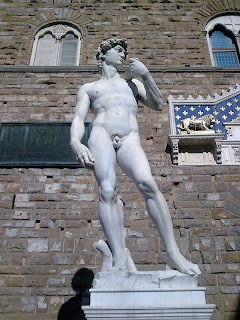 Everywhere in Florence we see David! We see him on the souvenir magnets, small plaster replicas and posters. 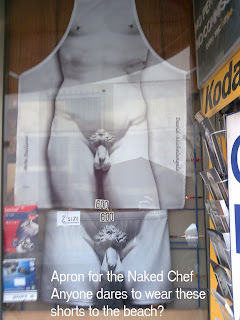 We also see his naked body on aprons and shorts. 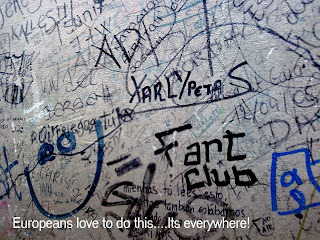 Vandalism is very common here as well as other places we visited in Europe. 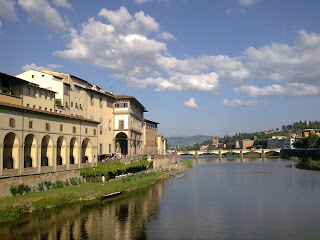 Near the Piazza Signoria and Galleria degli Uffizi is the Ponte Vecchio. 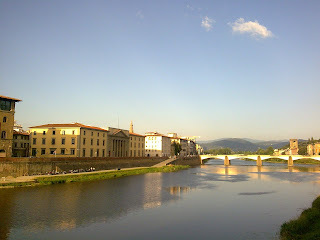 The view from the famous Ponte Vecchio is very beautiful.